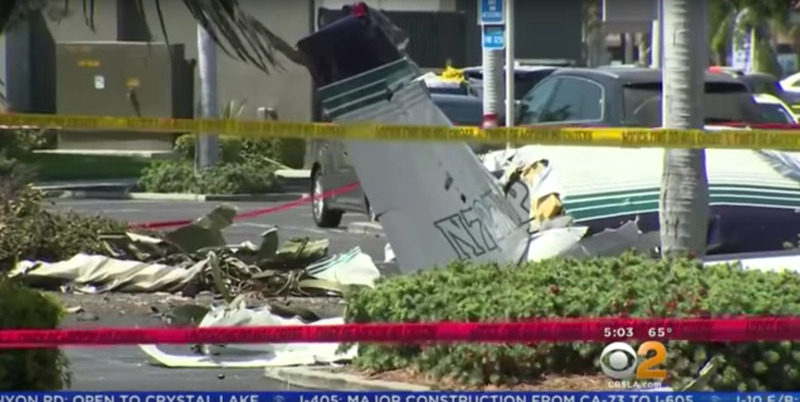 CBS Los Angeles/YoutubeA shot of the crash of Cessna 414 in Santa Ana, California on Sunday, August 5th, 2018. According to the Federal Aviation Authority’s Twitter page, the crash happened shortly after 12:28 p.m. local time. The pilot of the twin-engine plane, Cessna 414, declared an emergency landing prior to the event. “We are in the preliminary stages and we will be examining all of the facts that could lead to a situation like that,” an NTSB investigator said during a press conference on Monday. According to the statement given to Business Insider, Lara Shepard’s husband, Scott Shepard, was the pilot of the plane, and both were lost in the crash. Floria Hikimi’s son, Navid Hakimi, was killed in the crash along with his mother. 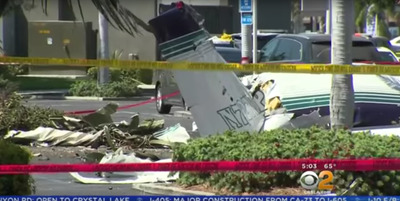 The Los Angeles Times reports FAA records show that Category III Aviation Corp., a real estate consulting firm in San Francisco, was the owner of the plane. The company did not respond to the Times’ request for comment.